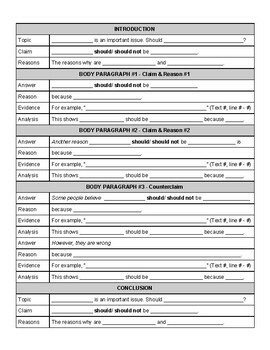 A simple handout outlining the 3 parts of the Regents, strategies, and sentence stems. 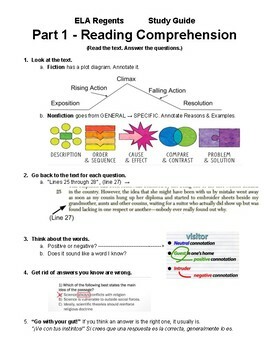 Originally created for a stand-alone beginner level ELL/ SpEd ELL class. 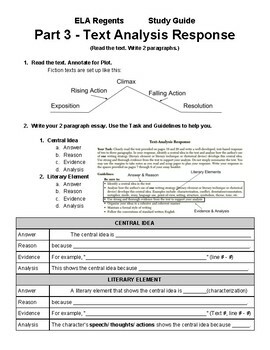 Paragraphs structures created based on what students hear and understand teachers ask for across classrooms: Answers, Reasons, Evidence, and Analysis instead of acronyms they hear in different classrooms like ICE, RACE, TIED, etc.